For Fixing Rips & Tears in Your Above Ground Swimming Pool Liner! Do you have a hole in your swimming pool liner or inflatable you wish to repair? 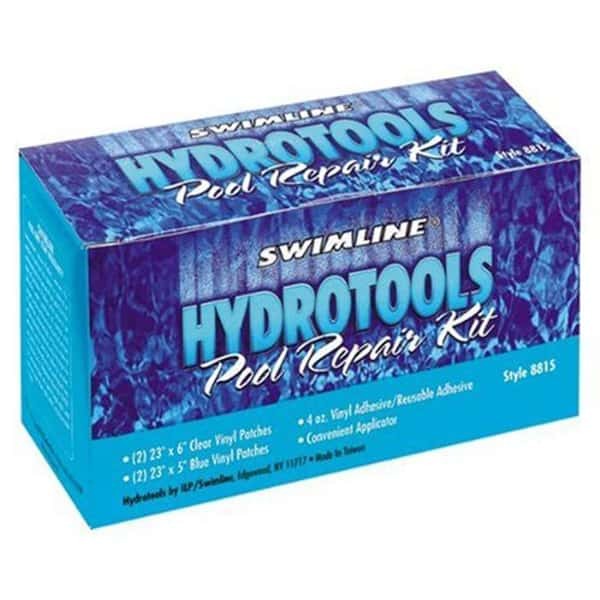 Try the Vinyl Repair Patch Kit from Swimline to get you back splashing and swimming! This kit comes with both clear and blue patches, so guests will never know a repair has been made, along with 4 ounces of industrial-strength vinyl adhesive so even the most stubborn rips, tears and holes will be covered, patched up and repaired!